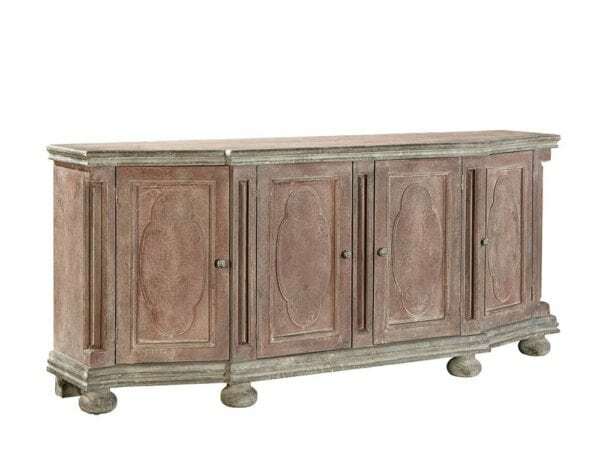 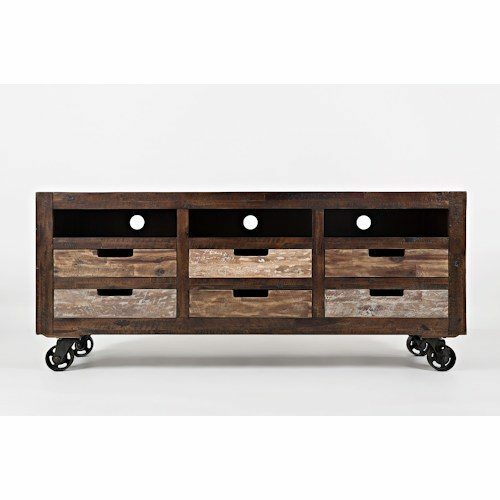 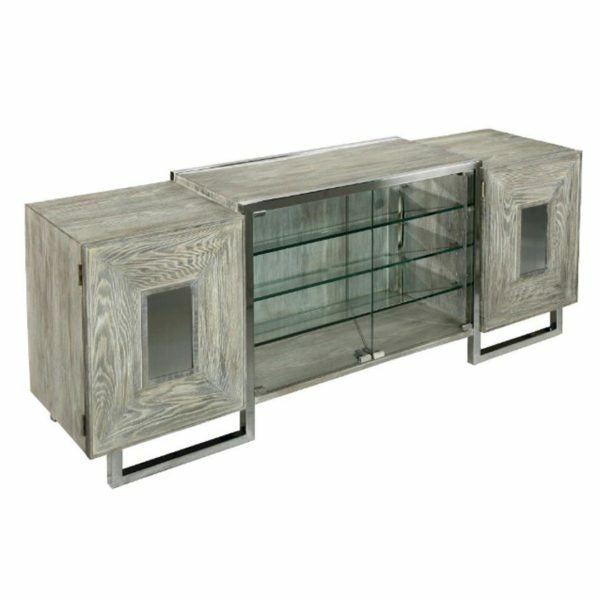 Categories: Living Room Furniture, Consoles, Buffets / Sideboards. 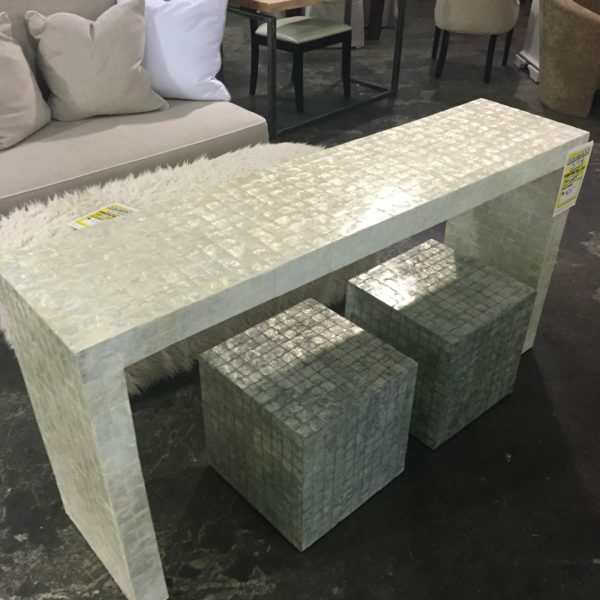 Tags: capiz shell, Console Table, Jeffan, table, tiled, white. 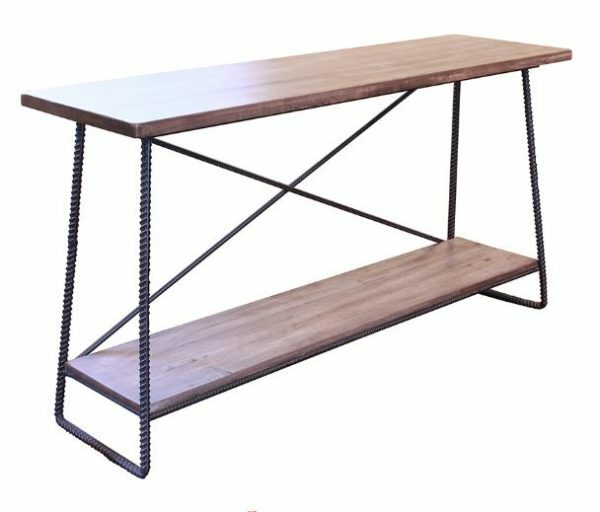 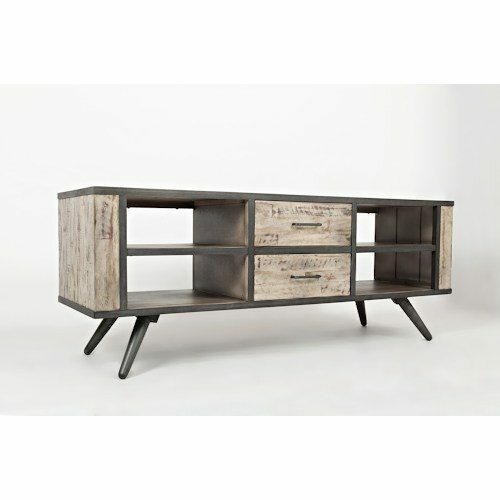 Tags: console, Console Table, Jeffan, vintage grey, wood. 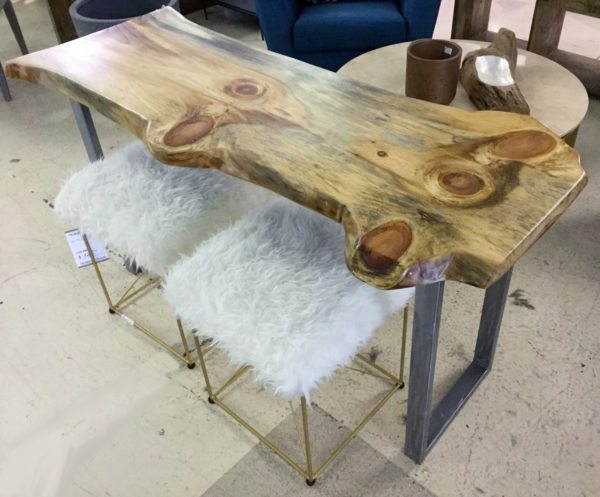 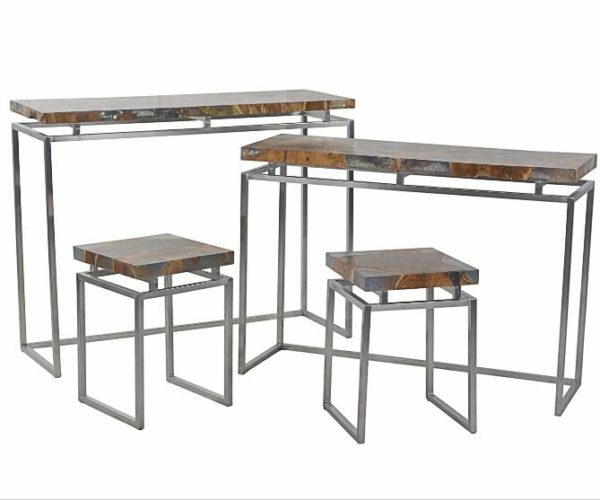 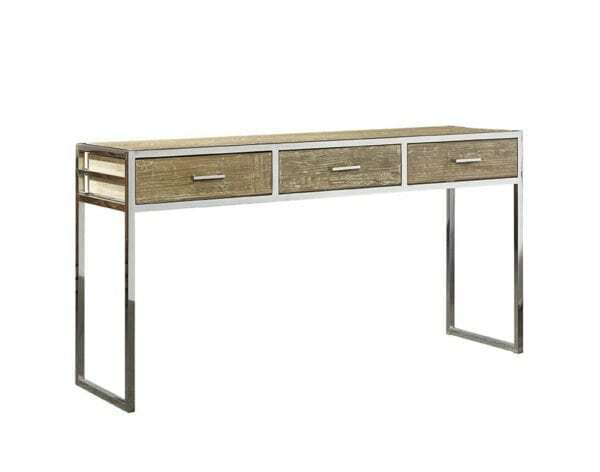 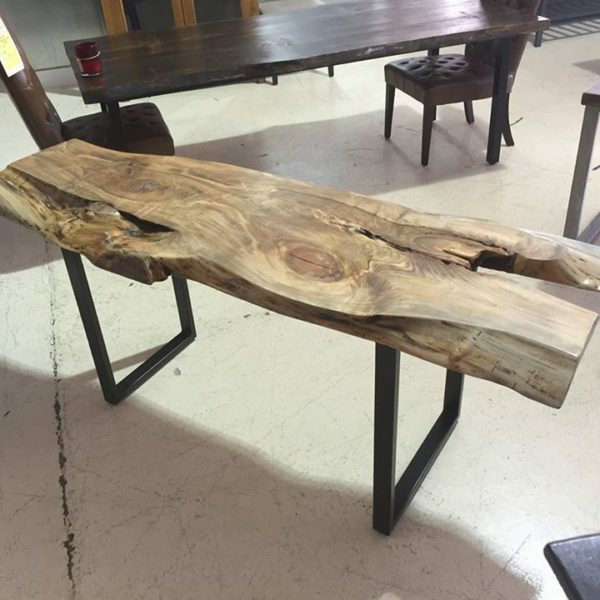 he juxtaposition of reclaimed fir and gleaming polished steel make this console an easy choice for today’s interiors. 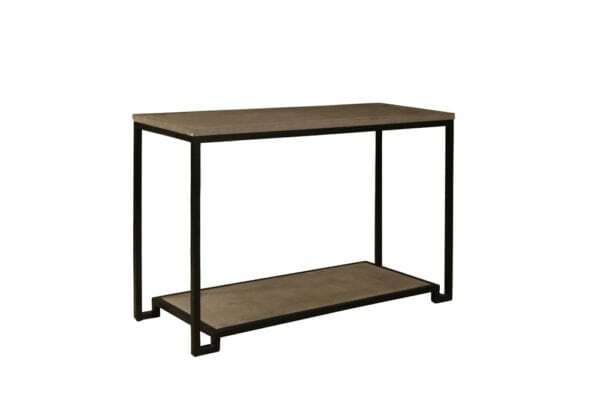 Perfect as a catch-all by the front door, this sleek beauty would also be happy supporting a TV. 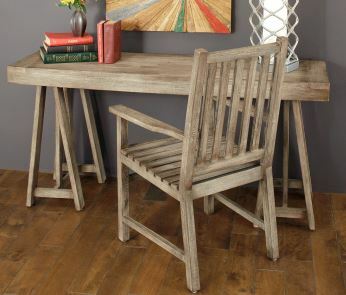 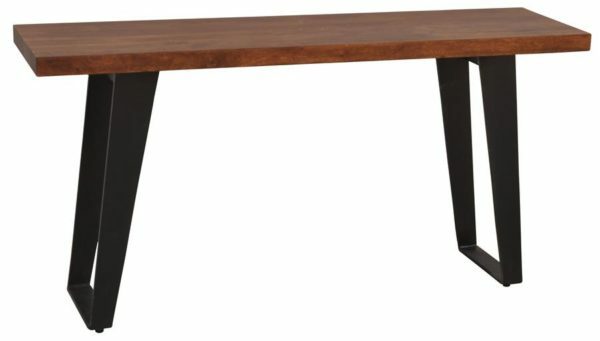 Picture it with a Flokati bench tucked beneath for a stylish accent. 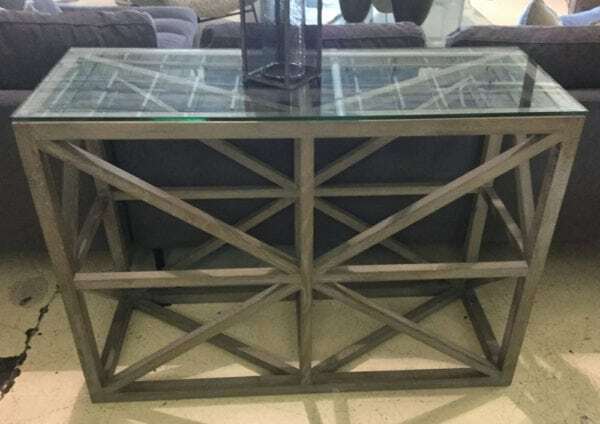 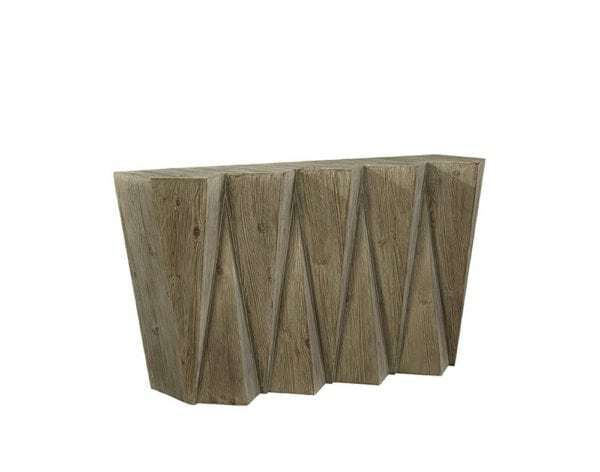 Graphically arresting, this console is cleverly crafted of inverted pine pyramids with a soft neutral finish. 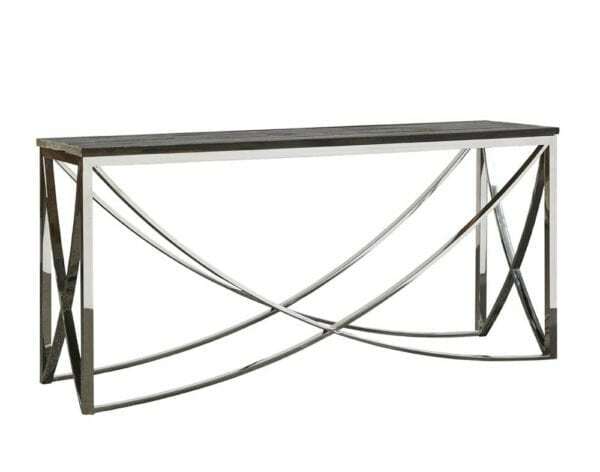 Generously scaled, this sculptural accent would be at home supporting art or a flat screen! 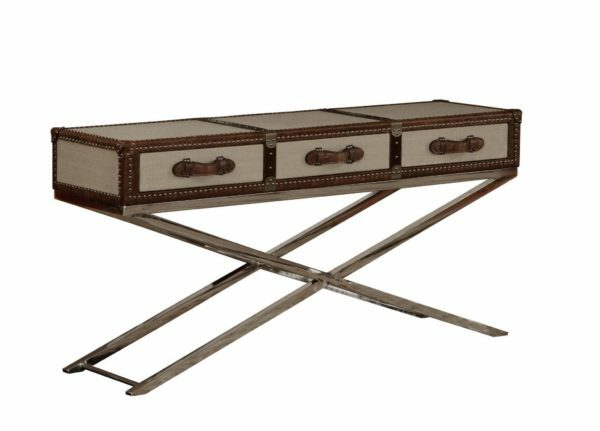 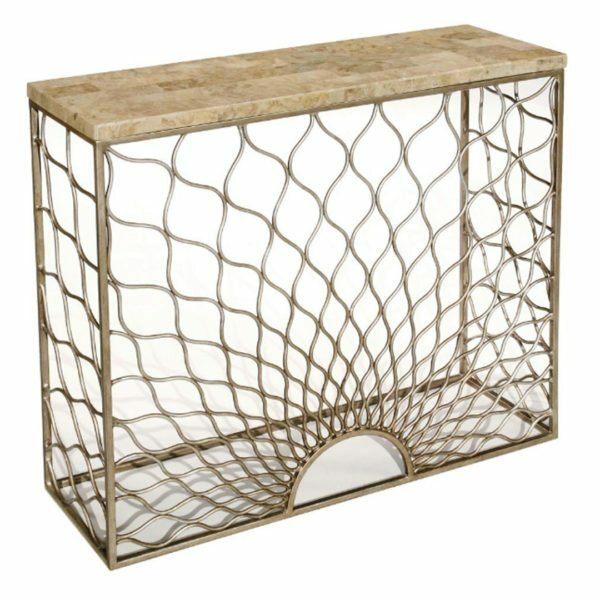 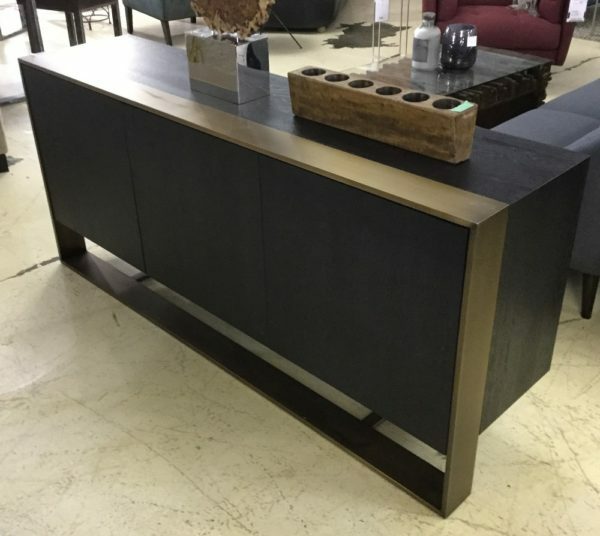 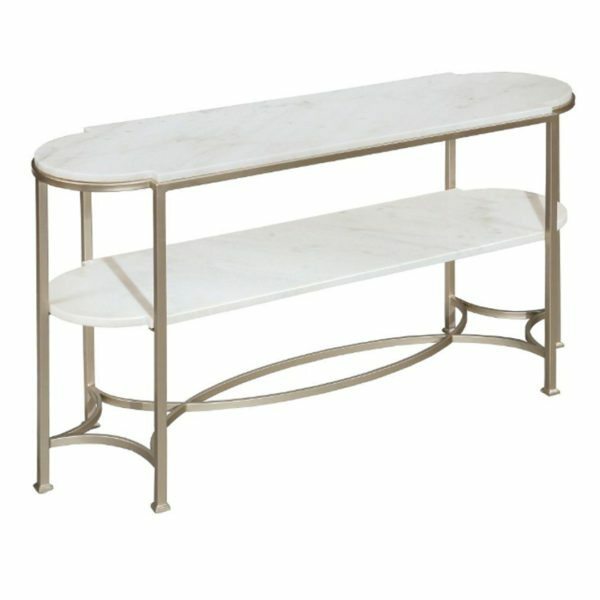 Laurel House Inspiration Console features a cream stone top and champagne finished metal base. 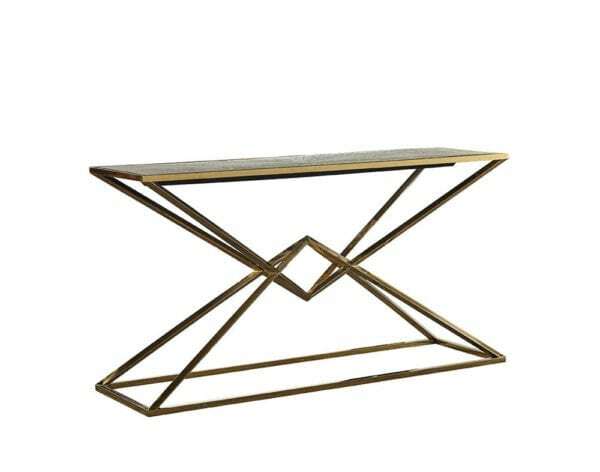 This accent piece adds a touch of class to your personal style. 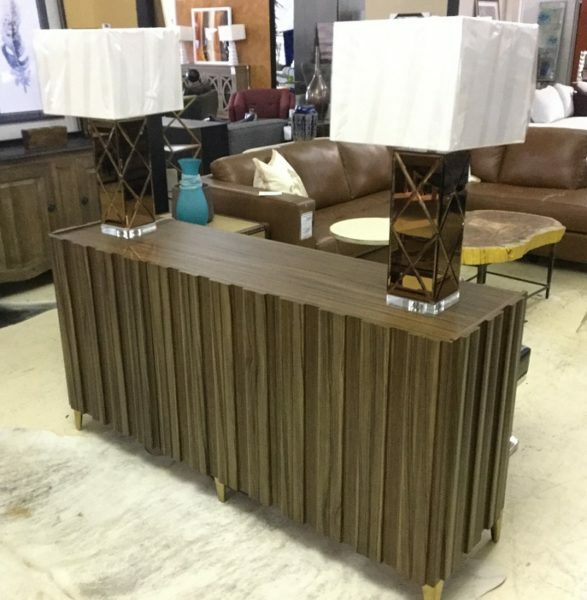 Tags: Console Set, Consoles, Marbled, Uptown.